Margaret Dawson died at Jasper County, Missouri. She was born on 4 April 1925 at Newton County, Missouri. Fred Leon Kidwell married Dytha Cleo White, daughter of Thomas Jefferson White and Martha Editha (Dithey) Brown. Fred Leon Kidwell was born in 1911. He died on 26 April 2003. John Andrew Hicks Goodnight was born on 24 September 1885 at Muhlenberg County, Kentucky. He married Clora Henrietta Tabb, daughter of Joseph Warner Tabb and Sarah Ellen Moore, on 10 March 1912 at Sharon Grove, Todd County, Kentucky. John Andrew Hicks Goodnight died on 5 March 1971 at Tiff City, McDonald County, Missouri, at age 85. He was buried after 5 March 1971 at Dug Hill Cemetery, Bella Vista, Benton County, Arkansas. Alice Ruth Slaton was born on 24 November 1896. She married Lawrence Jeremiah Tabb, son of Joseph Warner Tabb and Sarah Ellen Moore, on 28 February 1912. Alice Ruth Slaton died on 17 January 1978 at age 81. She was buried after 17 January 1978 at Gant Cemetery, Sharon Grove, Todd County, Kentucky. Charlie McKinley Goodnight was born on 14 March 1900 at Bentonville, Benton County, Arkansas. He died on 25 April 1974 at Bentonville, Benton County, Arkansas, at age 74. He was buried after 25 April 1974 at Cug Hill Cemetery, Bella Vista, Benton County, Arkansas. Golden Goodnight was born after 20 February 1894. John William Cash married Charlotte Belle Goodnight, daughter of Rufus Hicks Goodnight and Drucilla Frances Tabb. John William Cash was born in 1868. He was buried in 1921 at Dug Hill Cemetery, Bella Vista, Benton County, Arkansas. He died in 1921. Ernest Coy Tabb married Mary Marie Roberts. Ernest Coy Tabb was born on 23 January 1927 at Todd County, Kentucky. He was buried on 27 January 1985 at Gant Cemetery, Sharon Grove, Todd County, Kentucky.1 He died on 27 January 1985 at Sharon Grove, Todd County, Kentucky, at age 58. Mary Marie Roberts married Ernest Coy Tabb, son of Ishmale Harrison Tabb and Minnie Gertrude Brigrance. Mary Marie Roberts married Raymond Thomas. Mary Marie Roberts was born on 20 July 1925 at Todd County, Kentucky. 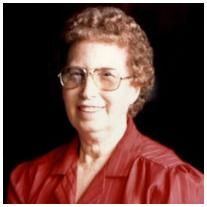 She died on 14 February 2011 at Russellville, Logan County, Kentucky, at age 85. She was buried after 14 February 2011 at Gant Cemetery, Sharon Grove, Todd County, Kentucky. Raymond Thomas died. He was born. He married Mary Marie Roberts. James Wallace Cooke married Alice Linscott Oast, daughter of Samuel Poindexter Oast and Eva Etta Tabb. James Wallace Cooke was born on 9 April 1879. He died on 30 June 1931 at age 52. He was buried after 30 June 1931 at Oak Grove Cemetery, Portsmouth, Virginia. Alfred Thomas Riddick married Alice Linscott Oast, daughter of Samuel Poindexter Oast and Eva Etta Tabb. Alfred Thomas Riddick was born in 1888. He died in 1949. Alice M. Miller was born on 27 January 1881. She died on 24 January 1924 at age 42. She was buried after 24 January 1924 at Hickory Grove Cemetery, Laurel, Jones County, Mississippi. Jasper Hugh Miller was born on 8 February 1886. He died on 21 February 1946 at age 60. He was buried after 21 February 1946 at Lake Park Cemetery, Laurel, Jones County, Mississippi. Lauda Eugene Miller was born on 22 September 1892. He died on 23 June 1904 at age 11. He was buried after 23 June 1904 at Hickory Grove Cemetery, Laurel, Jones County, Mississippi. Adelade Tabb was born circa 1846. Ellastine (Ella) Tabb was born on 8 October 1846 at Mason County, Kentucky. She died on 19 January 1927 at Dover, Mason County, Kentucky, at age 80. She was buried after 19 January 1927 at Tabb - Evans Cemetery, Dover, Mason County, Kentucky. Oscar Huber Hostetter married Aloise Tabb, daughter of Langhorn M. Tabb and Mary Frances "Fannie" Clift. Oscar Huber Hostetter was born in 1883. He died in 1981.